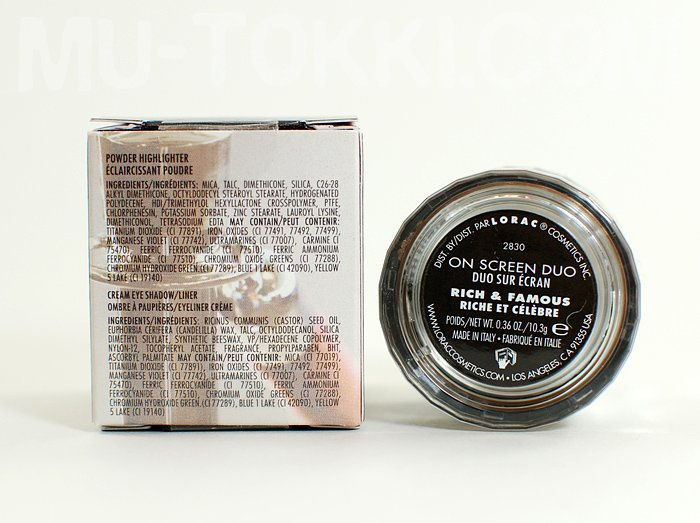 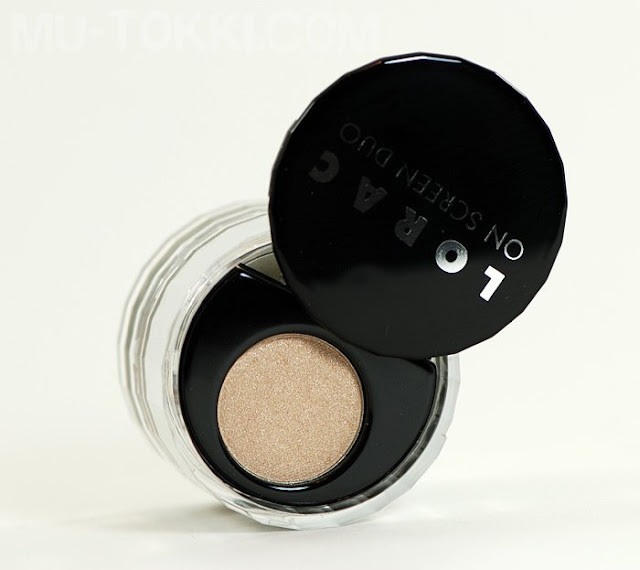 This is a very handy duo compact that comes with a cream product that can be used as either an eyeshadow or liner and a powder highlight than can also be used as as eyeshadow. 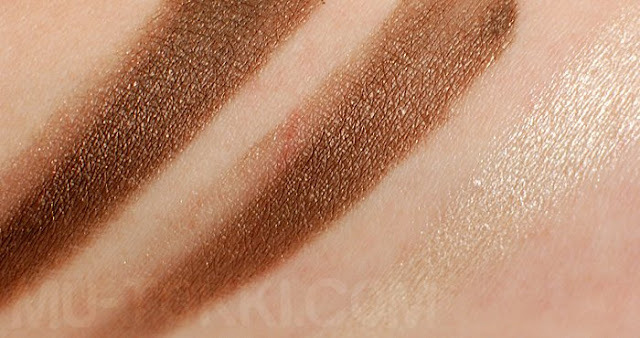 Hit the cut for more photos and swatches! 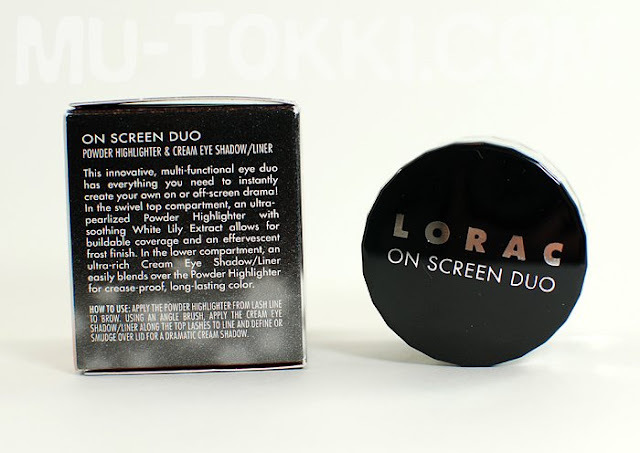 "This innovative, multi-functional eye shadow duo has everything you need to instantly create your own on or off-screen drama! In the swivel top compartment, an ultra-pearlized Powder Highlighter with soothing White Lily Extract allows for buildable coverage and an effervescent frost finish. 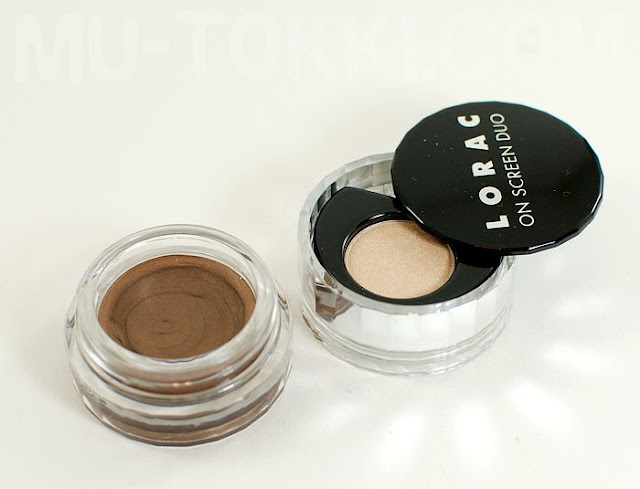 In the lower compartment, an ultra-rich Cream Eye Shadow/Liner easily blends over the Powder Eye Highlighter for crease-proof, long-lasting color." The only problem I had with the cream is that I had to work to get product out. 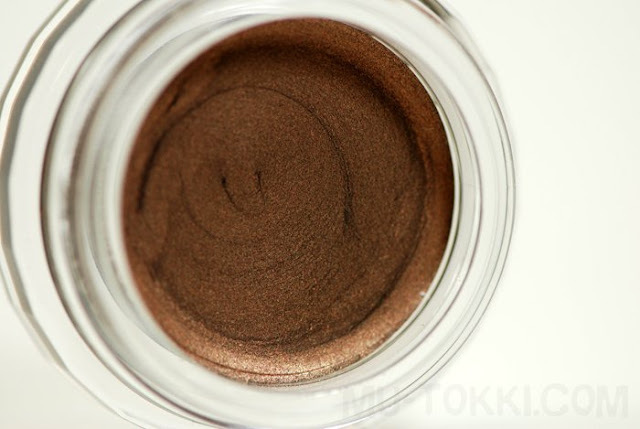 Otherwise, it applies nicely as a mocha brown with light shimmer. I like to use it as a eyeliner and have yet to try it out as a base. 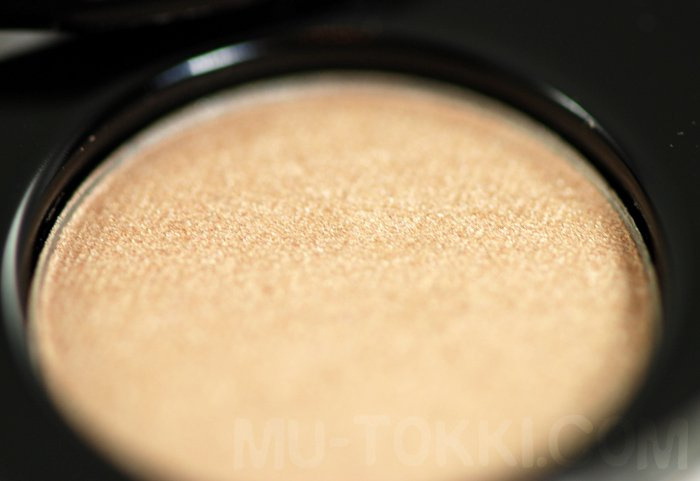 The highlight has great pigmentation with buttery application. 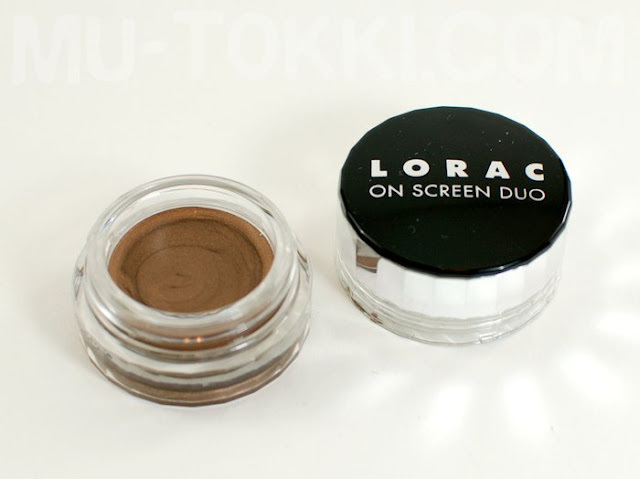 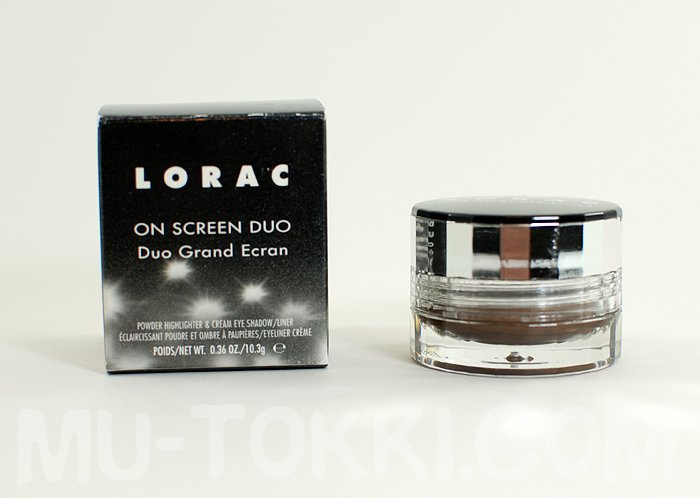 The original retail price for this was 24$, I purchased this for 5$ from HauteLook, but it is currently on LORAC's website for 7$ along with two other colors. It is a good purchase in my opinion and it's very travel-friendly.